Lincoln Hall served as the main classroom for the Annville Institute. The original Lincoln Hall was destroyed by fire in 1921. 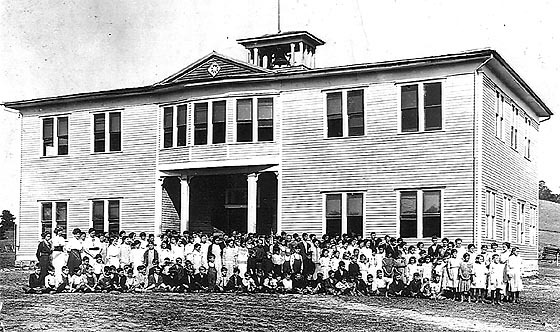 The present building was built in 1922 and 1923 on the foundation of the original building. After the Institute ceased its educational operations in 1978 the building has had a lack of purpose and its use has decreased as the years have gone by. See more about Annville Institute / GCM on the History Page. At the present there is an effort being made for the building to be rehabilitated and to become the home to a cultural center. The proposed center will be a place where local authors, artists, crafters, and song writers will be able to display and sell their products and teach their crafts to others. A committee of local leaders along with some members of the Institute's alumni have been meeting and making recommendations to make this concept a reality. Potential grants are being researched and being applied for. 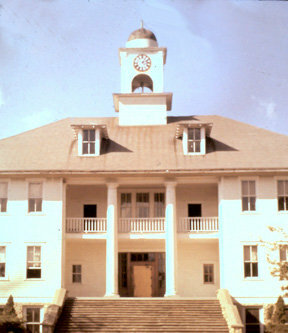 Donations are also being sought and the alumni association is raising funds to repair the clock that adorns the top of the building. For more info call the GCM office at 606-364-5151.